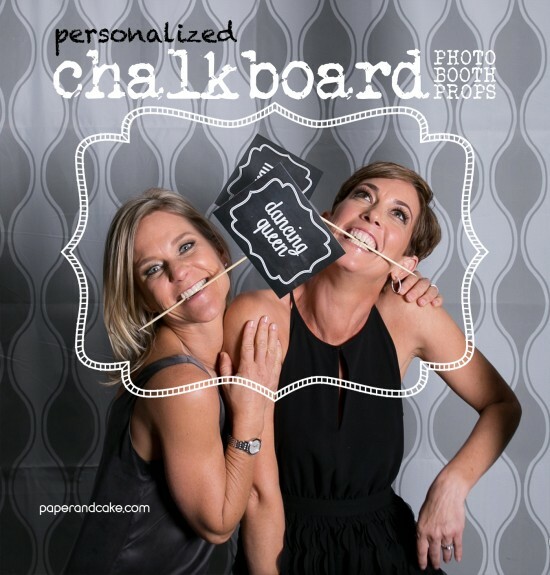 chalkboard photo booth props: NEW! We sure do love a good party. And whats a party without some fun activities? We thought you might enjoy this brand new printable set of photo booth props, because well, you are so much fun! Imagine a set of chalkboard photo booth props that YOU can type in whatever you want the prop to say. Anything really, the name of the bride and groom perhaps? The zip code or location of your party? Oh, how about one of your favorite NEW words that ALL the kids are using, “selfie”! We may be a little biased, but we think these props are the perfect addition to any event. 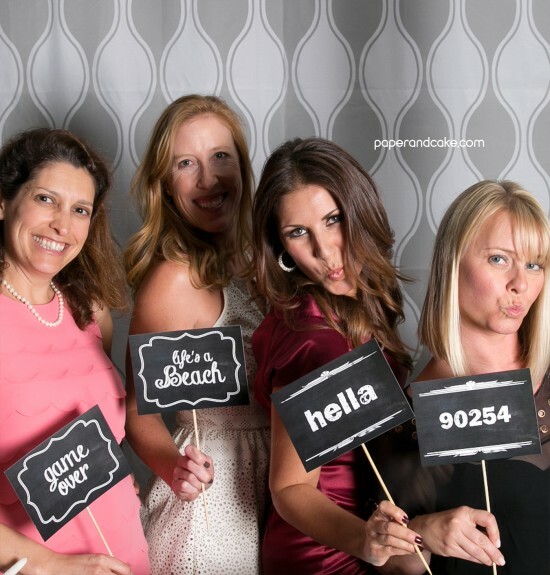 We tested them out at a school fundraiser party – and the photo booth line was really a mile long! In our printable Chalkboard photo booth prop set, you will get two styles of “cards” in which to type your idioms, and some lips and mustaches in case you need ’em. Print as many as you want, for as many silly sayings as you can think of! Just affix the printed and cut out card to a long skewer or lollipop stick with hot glue and there you have it! Instant activity! 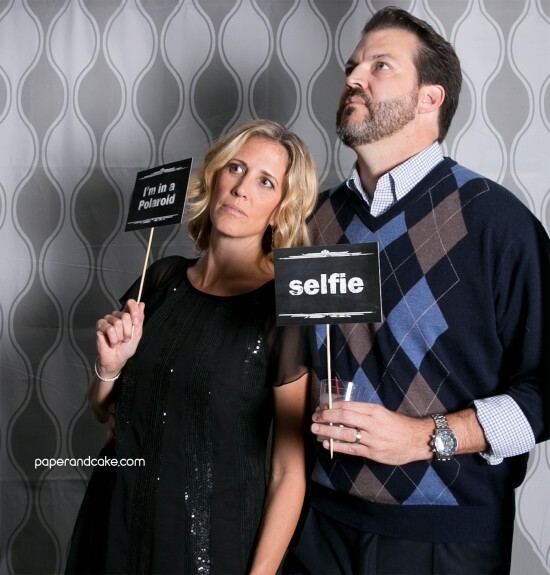 And we would so love to see your silly pics, just send them off to info@paperandcake.com.